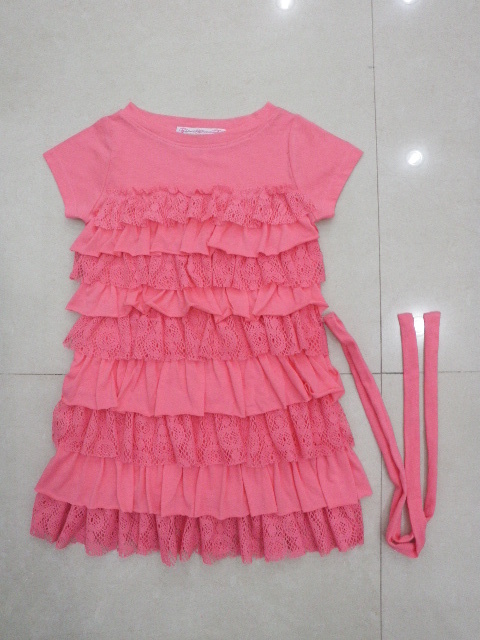 I had to share this sample of our salmon lace ruffle dress for our upcoming Taylor Joelle collection. Originally I was going to do this dress in small sizes (up to four years), but I think I may need to go up to Taylor’s size eight because I want her to have one! This dress isn’t officially confirmed yet (I need to check the sizing and run it through to wash to make sure the quality holds up). Hopefully we can move forward with it soon!